Today I want to tell the story of Paoletti. Born in 1985 in Genoa, Italy, Paola Roncagliolo showed since a early age a strong artistic vein. Very talented with brushes, colors, pencils and so on, everyone believed that the fate of Paola would have been in the field of visual arts … and more or less it is how it went, even if in between there was a tourist agency, decoupage, oil paints and also crochet. But let’s start from the beginning. At the time of choosing the her career Paola, conditioned by the typical market of her city, graduated in tourism. After some time working in a travel agency, she understands that this was not her way, and, thanks to an unemployed season in July 2008, she discovered her passion for jewelry. This can maybe be a sign that we can not escape our destiny, and that Paola´s one was art on its many forms. Today, after five years, Paola´s passion has become her work and, contrary to all expectations, I have to say that she manages it quite well! Find her shop on Blomming under the name of PerleVaniglia , the name is to remember not only her passion for jewelry, but also for sweets! 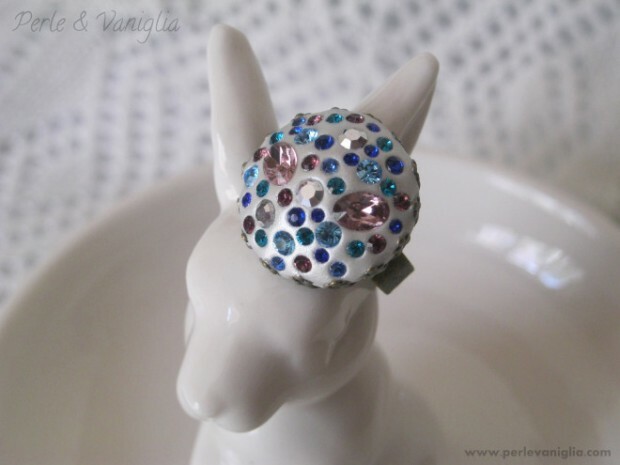 At Pearls & Vanilla you will find all kinds of jewelry: rings, bracelets, necklaces, earrings and even hair accessories. Her copious production will amaze you page after page, and every time is a surprise. 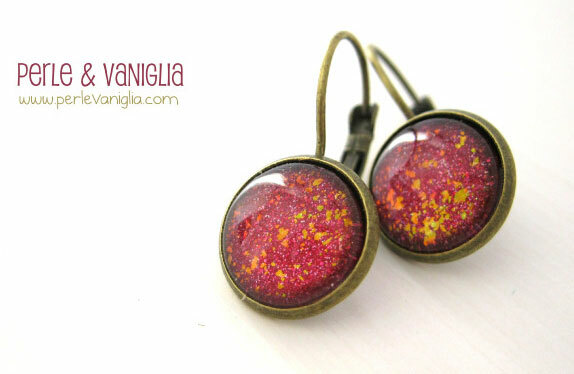 Paola is inspired by vintage and gemstones. She loves the colors and the brass. Her greatest passion are the earrings. It you will find plenty of them: simple, small, minimal or pendants, stylish and super happy. 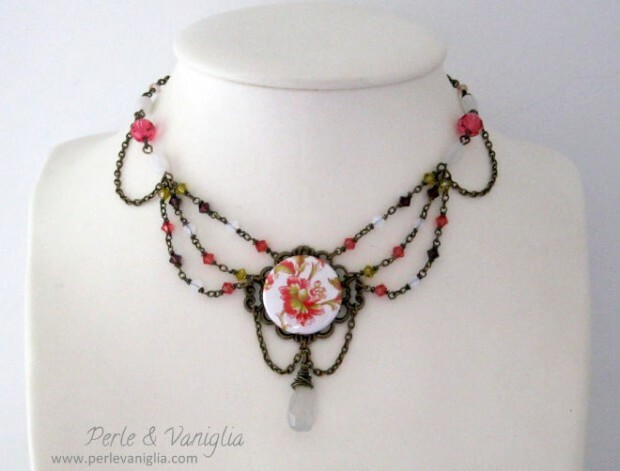 To find out more of this imaginative artist / craftsman visit her Facebook page Pearls & Vanilla or her blog – in either you can buy her amazing creations!